Breakfast is (allegedly) the most important meal of the day. I'm sad to admit, that during the week I tend to skip breakfast and grab something on my way into work to eat later on. Naughty Laura! However, breakfast at the weekend is slightly different. 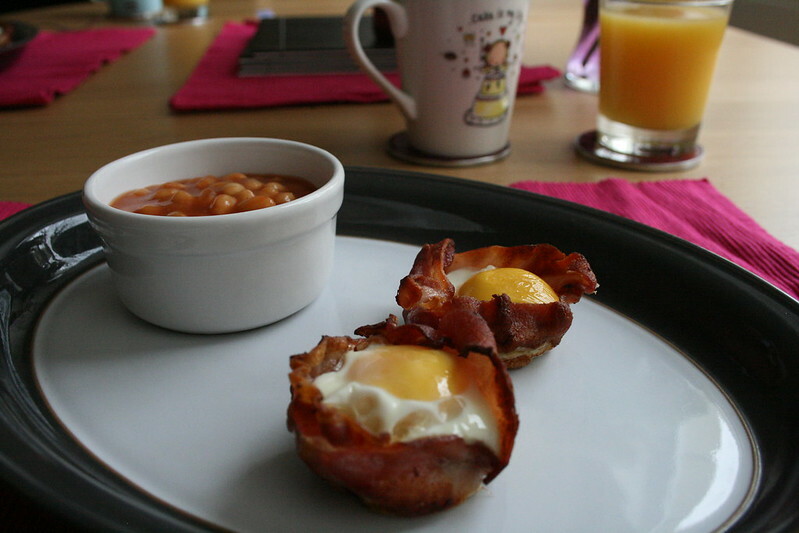 After a little lie in and no snooze button to hit several times, I like to make these little cups of breakfast joy. I first saw these whilst procrastinating on Tumblr last year and, having managed to track the recipe down - I haven't looked back. A favourite with loved ones, they are very simple to make and, less stressful than cooking a huge fry up. Pre-heat your oven to 200 degrees. 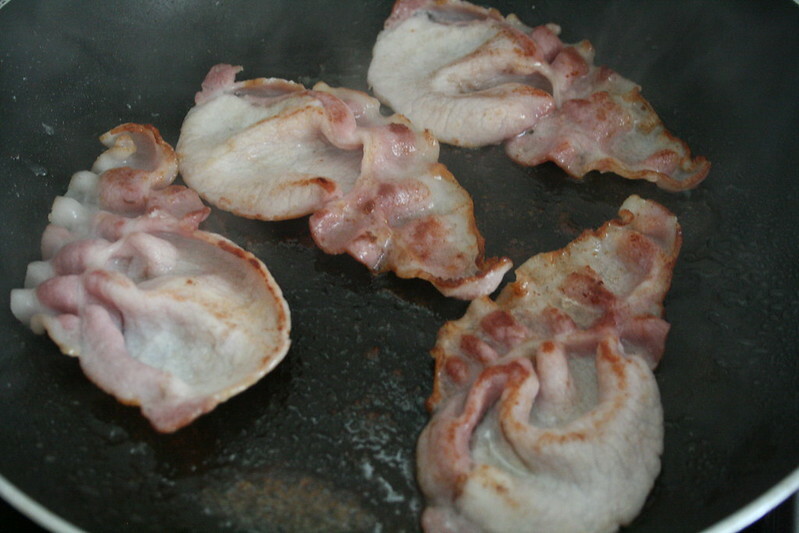 Whilst that's heating up, fry your bacon rashers on a medium heat until cooked. You want them to be firm but not too crispy. Heat your butter until melted. Add maple syrup and mix together. 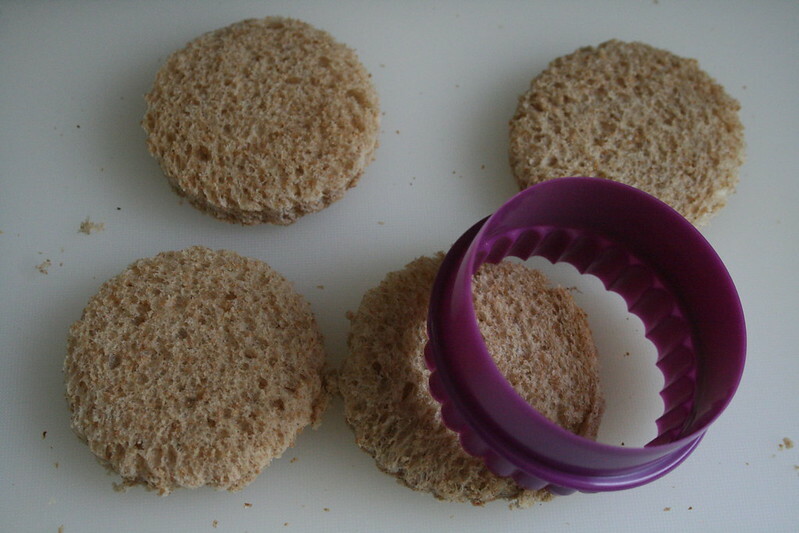 Using a cookie cutter, or anything that will cut a 3 inch diameter circle, cut circles out of your bread. You may have to do some trimming depending on the size of your bun tin molds. Easy enough though. Grease a bun tin and pop your bread circles into the molds. 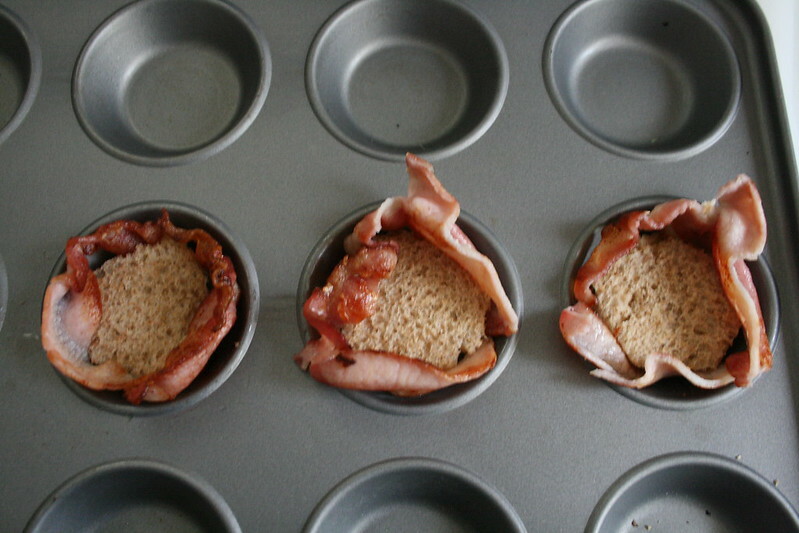 Cut your bacon lengthways (I used scissors) and line each bun mold with the bacon. You will find that one rasher will be enough for each mold. Brush the bread circles with the butter/syrup mixture. 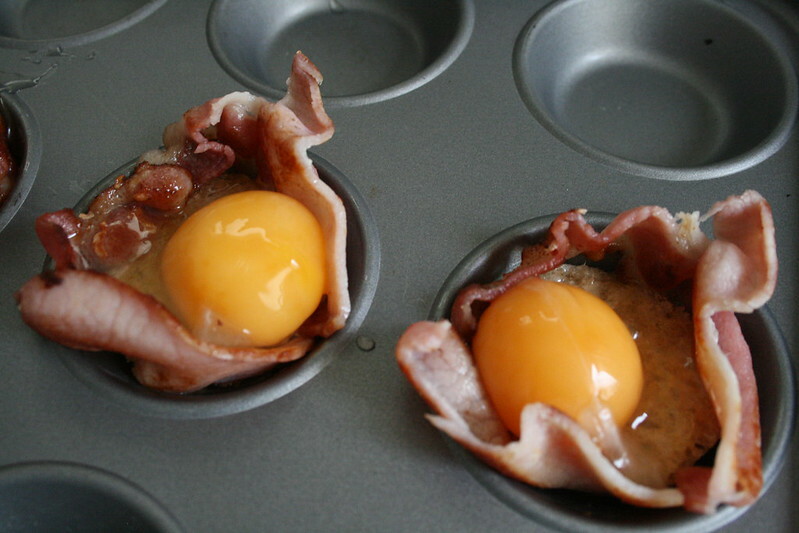 Now, crack your eggs and pop on top of the bread, ensuring that the egg doesn't leak through the bacon. 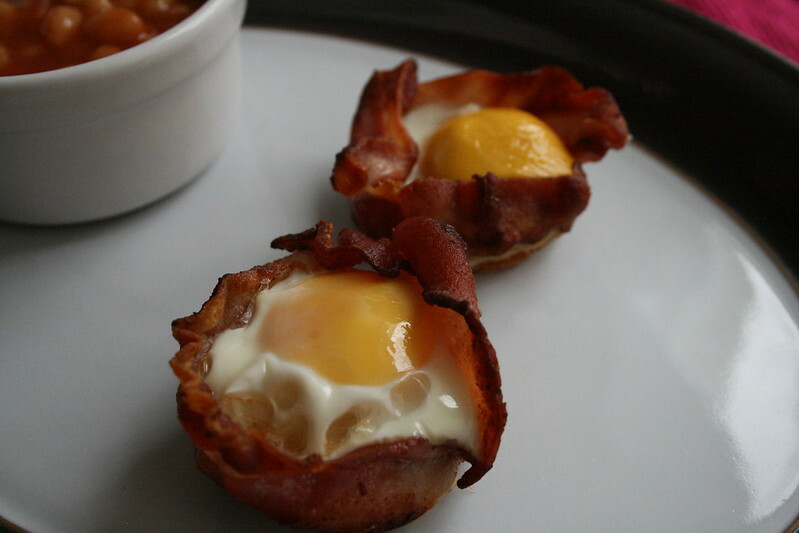 Depending on the size of your eggs, you may want to get rid of some of the egg whites before popping the eggs onto your bread and bacon cups. Place in the oven for 7-8 minutes. This will give you a runny yolk. 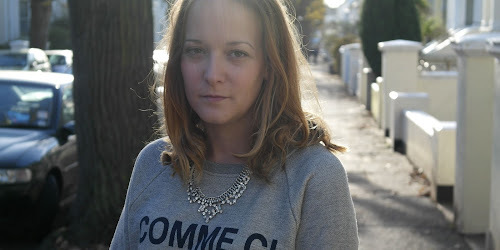 If you prefer it to be more solid. Bake for 10 minutes. A perfectly yummy way to start the weekend. 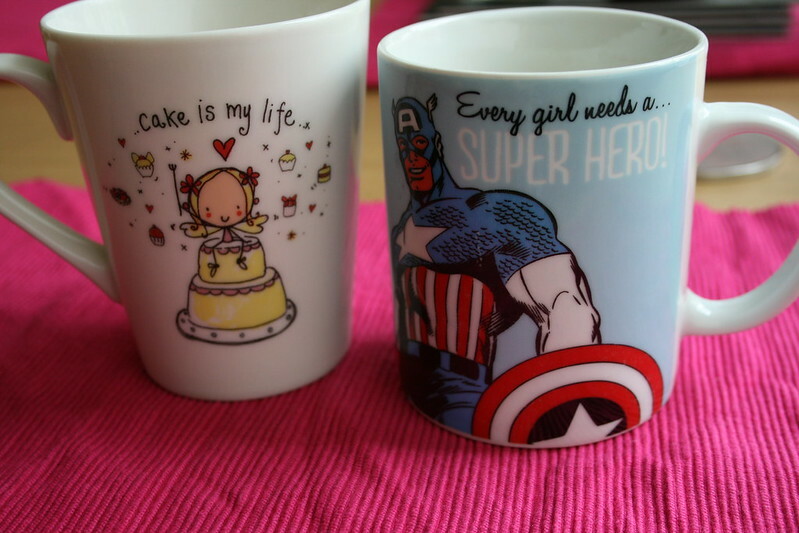 Serve with lots of tea (me) and coffee (him). That's so creative, I'm definitely going to try it one of these days!